If you’ve read any of my thrillers you’ll know that I’m a fan of traveling. Agents Otto & Gaspar are no strangers to globe-trotting either. But they aren’t just sightseeing. They are on a mission to Hunt For Jack Reacher. 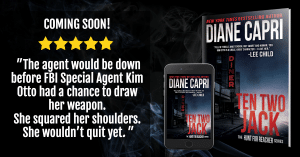 In Ten Two Jack, novel #7 in my Hunt for Jack Reacher series, Otto & Gaspar are taken on yet another worldwide adventure that includes medical tourism. Last week in Part 1 of this series we discussed the pleasures and perils of medical tourism. Today we’ll be looking into the dark side of this industry. For many con-artists and quack doctors, medical tourism provides the perfect opportunity to scam foreigners out of millions of dollars. If you’re planning on seeking medical care abroad you need to be savvy. The internet is full of advertisements for cheap deals and lavish medical accommodations. Don’t be fooled by these “too good to be true” medical tourism packages. Many people have learned the hard way that travel agents should not be considered reliable resources when seeking medical care. 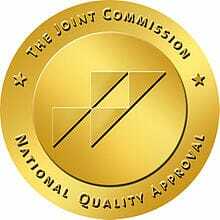 Smaller institutions are often cheaper but lack regulation from The Joint Commission which sets the global standard for medical care. Even those who have done their research can get duped. Many illegitimate “garage clinics” pop up as quickly as they are shut down. These are often elaborate schemes equipped with false credentials promising incredibly low rates. Although the savings may be enticing, inexpensive medical care can come at a great personal cost. Unfortunately, it is not uncommon for unregulated hospitals to prescribe the wrong medications or purposely make false diagnoses to sell costly treatments. In one case Chinese tourists in Thailand were conned into paying for cancer treatment at a beauty salon after being falsely diagnosed by someone posing as a doctor. Similar scams are also rampant in Columbia, Brazil, and India. Columbia has received a bad reputation for the number of tourists who have returned home needing intensive medical treatment to repair botched surgeries. Many patients seeking cosmetic treatments in Brazil have suffered horrible consequences after being injected with counterfeit Botox. As a result, some victims have even been paralyzed. The Gurgaon kidney transplant racket is a prime example of medical tourism con-artistry. The racket was organized by Amit Kumar and his brother who set up illicit clinics across India where they illegally extracted and sold kidneys to tourists. Even more frightening, the brothers performed over 600 illegal kidney transplants without proper medical training or credentials. The racket was finally shut down in 2008. Despite these horror stories, many people have had positive medical experiences abroad. 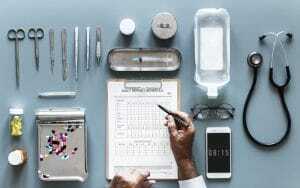 Apart from thoroughly researching doctor recommendations, credentials, and treatment facilities, the risks can also be minimized by thorough communication from home before and after treatment abroad. Agents Otto & Gaspar come face to face with medical tourism on the Hunt for Jack Reacher in Ten Two Jack.